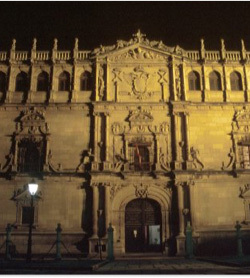 The University of Alcalá (UAH) is a public institution founded by Cardinal Cisneros in 1499. One of Europe’s oldest universities, its influence has been felt both near - it is one of the earliest examples of a planned university town - and far (its articles of constitution have served as a model for various Latin American universities). Its alumni include some of the most famous names of Spanish culture, such as Lope de Vega, Francisco de Quevedo and Tirso de Molina. Alcalá de Henares was also the birthplace of Cervantes, the creator of the greatest figure in Spanish literature, Don Quixote de la Mancha. In recognition both of its cultural importance and its impressive architectural inheritance, in 1998 the University was declared a UNESCO World Heritage Site. 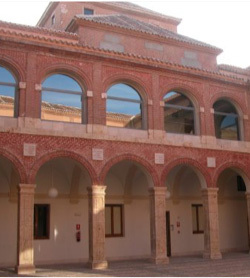 Every year the university’s ancient assembly hall, the “Paraninfo Universitario”, plays host to the most important Spanish literary award ceremony, the Cervantes Prize. 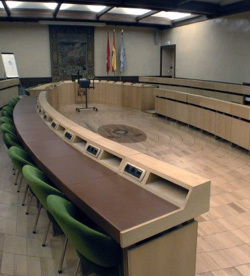 Located in the center of Spain, the university is 30 kilometres east of Madrid and is easily accessible (20 kilometres) from Madrid’s Barajas airport. Also, jointly with Spain’s Public Ombudsman, every two years in the same assembly hall the University of Alcalá awards the King of Spain Prize for Human Rights, in recognition and encouragement of outstanding contributions made by Spanish and Latin American organizations to the defence and advancement of human rights and democratic values. Today the University of Alcalá enrolls nearly 30,000 students, two-thirds of whom are reading for undergraduate degrees taught by a teaching staff of 1,800 professors, lecturers and researchers. The university is also proud of its modern and efficient administration, attended by approximately 800 service staff. Students have access to up-to-date facilities such as the On-Line University, which makes available teaching materials for more than 900 subjects. 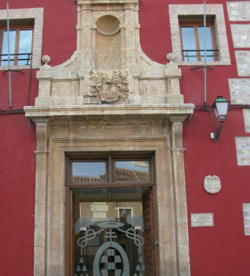 Alcalá also houses 26 fully equipped computer rooms, and provides WIFI networks in all buildings, along with a laptop computer lending service. The university has 16 libraries seating 2,700 readers and a large digital collection which includes over 16,000 different e-journals. The university’s teaching and research staff also enjoy access from their work centres to the more than 10 million volumes held in the National Library Repository located on the university’s Science and Technology Campus.